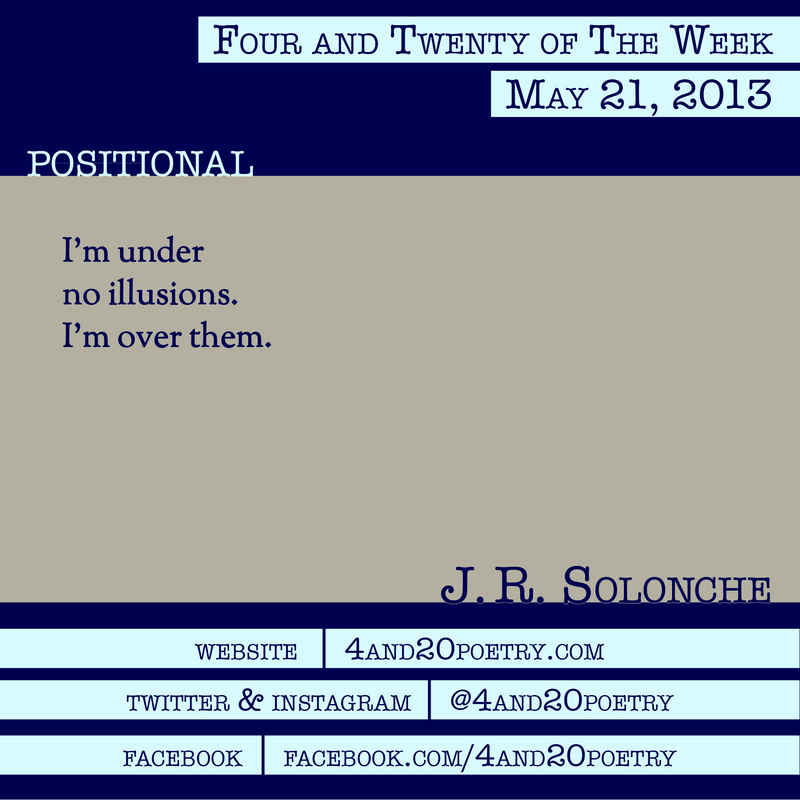 J.R. Solonche is a four-time Pushcart Prize and Best of the Net nominee. He has been publishing in magazines, journals, and anthologies since the early ’70s. Like what you see here? Download the current issue of Four and Twenty for more great short form poetry. This entry was posted on Tuesday, May 21st, 2013 at 4:20 am and is filed under Four and Twenty of the Week, Micro Poetry, Poetry. You can follow any responses to this entry through the RSS 2.0 feed. Both comments and pings are currently closed.